What a fabulous day for the 53rd Annual Kirkheaton Gala on July 1st in the centre of the village. The community turned up in their 100’s to enjoy the sunshine and the things on offer – majorettes, Clare Dosey School’s Dancers, Kirkheaton Primary School Choir, Children’s activities organised by Friends of Kirkheaton Library to name just a few! We don’t know yet how much money was made for our local local community groups but will let you know as soon as possible. A big thank you to all who dug deep into their pockets to support the event and also a huge thank you to the volunteers who have been meeting regularly since the last gala to ensure its smooth running, and other volunteers. The gala totally relies on members of the various community groups to organise and run it – without them there would be no gala. 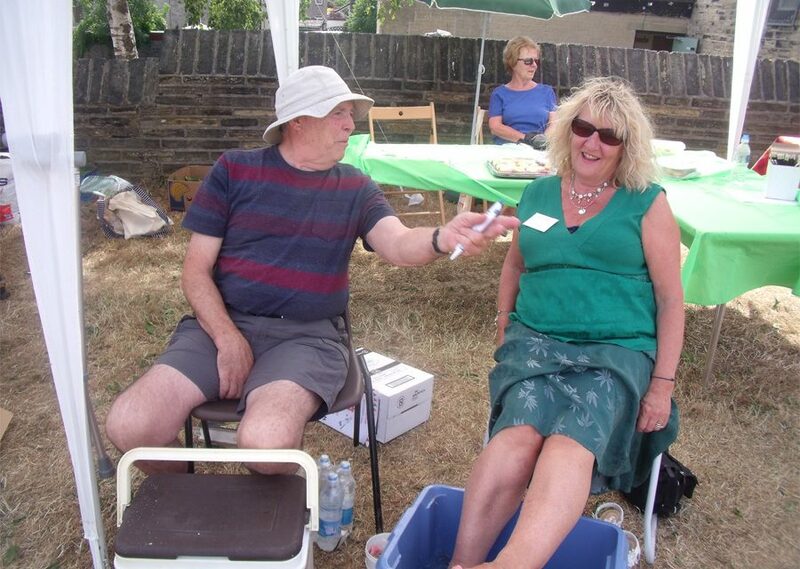 The photo shows Lorna, one of YT’s Trustees, cooling down after a hectic day, alongside another YT volunteer! This year we did not have an official photographer so if you took any pictures that you are willing to share with the wider community on line please send them to sue.bowyer@yettontogether.org and they will be incorporated into a gallery for all the community to see. We haven’t any of the parade or the Gala Queen and her attendants so would especially welcome those.